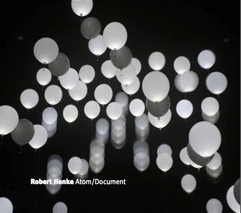 Music written for the Atom performance by Christopher Bauder and Robert Henke. 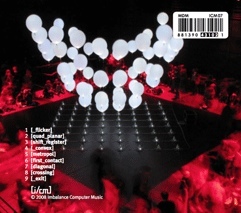 The performance itself leaves room for a significant amount of spontaneous interaction between Christopher, who controls the height of the balloons in the matrix, and myself, controlling the LED patterns by triggering various musical elements. Thus, each performance is different, and the recording only serves as the base for an infinite possibilities of scenarios. The music for the performance has been created according to a few basic principles: There are floating elements, that are not percussive and have no direct connection with the LEDs in the balloons. There are percussive elements, where each percussive element also creates a visual impulse. This strict conceptual approach made it possible to come up with impressive music and LED movements in a very limited period of time in 2007, in the week before the first performance. 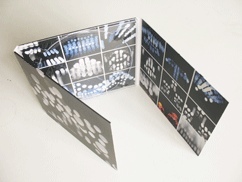 Each piece contains only four channels of percussive sounds, a deliberate limitation which made it possible to control the audio part of the performance entirely via a hardware MIDI controller box. 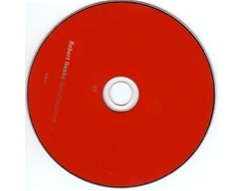 In early 2008 I decided to release the music also on CD. I wanted to create more recognition for the performance, I wanted to expose the photos of it, and I felt like the musical effort deserved to be conserved, too. However, when working on it, I more and more came to the conclusion, that in order to work without the massive visual stimulation, the music needs to be much more sophisticated and composed. I spent a lot of time refining each detail of the sounds and the patterns. Some of the pieces I rebuilt from scratch, and in some cases I went in a totally wrong direction and came back to a much earlier version after weeks of unsuccessful attempts. The result is the most 'serious' album I created so far, and it marks a new coordinate in my musical universe, with its combination of noisy and rough industrial sounds, processed piano, and distant drones. The album has been composed, mixed and edited entirely in Ableton Live 7, using many instances of the Operator synthesizer, recordings of a very loud and very big high-voltage transformer and a recording of some piano notes. The vinyl edition is a heavy 180 gram pressed in a luxury gatefold cover with full color print. Atom. A performance for a dynamic matrix of 64 illuminated helium balloons.